The doctors at Gentle Care Chiropractic believe a patient must be informed of all aspects of their care in order to consent with understanding. This is not only respectful, but helps the patient become a more empowered partner. During the initial visit, time is invested in the doctor patient relationship. Our doctors know how important it is to understand their patients, if a well thought out treatment approach is desired. Treatments are individualized to provide the best results in the least amount of time, by changing doctors, co-treating some patients, and consulting each other on many case. "We see ourselves as a partner in the patient's recovery and maintenance of good health." Treatment at Gentle Care Chiropractic is given with the expectation that the doctor and the patient will give 100% of their effort. Optimal health can only be achieved if the responsibility is shared equally. 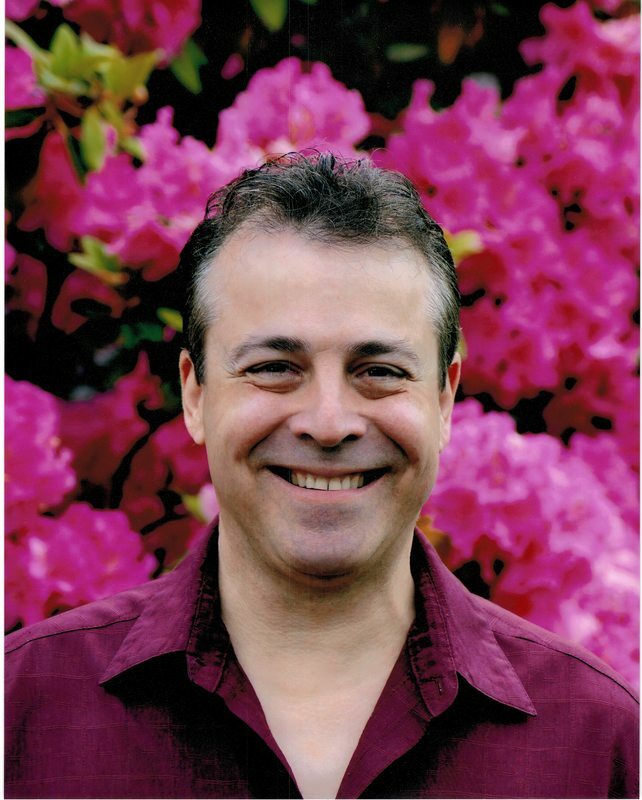 Dr. Ralph Ezagui is a graduate of Western States Chiropractic College in Portland, Oregon. He was an adjunct professor at his alma mater for several years. He has his state licensure in OR, CA, and WA. Dr. Ezagui has done radio interviews and written newspaper columns on the benefits of chiropractic care. When first practicing, he did house call exclusively. Oregon's 12 was so taken by this that they aired a special segment on the nightly news in November of 1998, which included an interview. He had given numerous informational talks to the public and rarely turns down and opportunity to educate those interested in chiropractic. He co-sponsored and taught at a continuing education seminar for Massage Therapist's. Dr. Ralph Ezagui is presently practicing in West Linn, where he feels he has made a home. "To work side by side with my mother helping people recover or maintain their health is a powerful gift." Dr. Veronica Esagui graduated from Life West Chiropractic College, in California, in 1997. She is licensed in OR, NJ, and CA. Born in Lisbon, Portugal, she speaks fluent Portuguese and Spanish. She spent most of her life in NJ where she was a guitar teacher and and performer for ten years and a theater producer for nine years. She found chiropractic one day (Literally, by accident!) when she was told that she needed back surgery following a lifting injury. She felt the results first hand. Not needing any drugs or surgery to accomplish her person miracle, she decided to go back to school and help others in the same way she had been helped. When she started chiropractic college, her son Ralph resigned from his position as an engineer at Bellcore and the two became students at Life University in Atlanta, GA. Becoming licensed in OR is very different from NJ and CA requirements, because the scope of practice here is considerably wider and therefore more challenging. After passing all five national boards, she also had to pass Oregon's state boards, which included obstetrics, gynecology, minor surgery and proctology. Of nearly 50,000 chiropractors in the United States, only 22 are certified to perform these specialty procedures, all of them in OR. 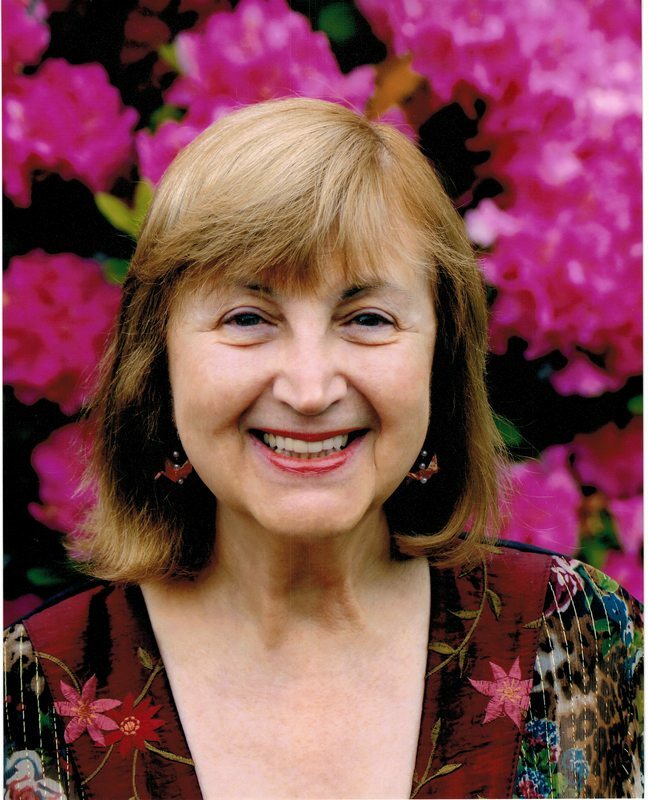 Dr. Veronica is the internationally known author of the Scoliosis Self-Help Resource book, also available in Japanese. Dr. Amanda Tipton was born in Baltimore, Maryland. At seven, her family moved to hometown Reno, Nevada. She attended the university of Nevada, Reno earning a Bachelor's of Science degree in Biology. After graduation, she moved to Portland, Oregon to attend University of Western States, College of Chiropractic. She graduated in March 2015 and has taken an interest in sports chiropractic. In her free time, she enjoys spending time with her dog, running, practicing her ballet technique, and playing baseball. After sustaining a dance a dance and marching band related injury, chiropractic care was the only thing that helped the pain. She knew then that she wanted to help people recover from injury and pain in a more holistic manner, the same way she'd been helped. "I absolutely love what I do! When I'm not at the office, I'm in ballet class, treating dancers at the Oregon Ballet Theater, hiking a trail somewhere with my dog and boyfriend and on the never ending quest for the best food and beer in Portland!" Dr. Dan grew up in Portland with a family full of chiropractors. His grandfather practiced in Portland for many years retiring in the early 2000's, while his aunt continues to practice in Arizona. Dan grew up playing many sports through high school and learned the value of regular care to recover quickly from his injuries and stay as healthy as possible. He went on to graduate from Oregon State University focusing on physiology and rehab and eventually graduating from Western States Chiropractic College with a doctorate in Chiropractic. Out of the office you will likely find him training for Spartan races or hiking and climbing mountains all over the Pacific Northwest. To slow down and relax a bit, he enjoys fly fishing for steelhead and trout in the rivers and high alpine lakes throughout Oregon and Washington. I have been a chiropractic assistant since 2005. I joined the team at Gentle Care Chiropractic in 2006, and have enjoyed every minute learning about the philosophy of chiropractic and working with the team! I love to connect with each patient at their visits and also enjoy doing the insurance billing (most of the time). In my free time, I am a full-time mommy to my daughter, Olivia, who you've probably seen here with me at work! It's a joy to be able to come to work and truly enjoy what you're doing, where you're at, and the people you're with! I am one of the many smiling faces you see as you enter Gentle Care Chiropractic. I have been with this amazing business for a little over three years. What started as a search for a hobby has allowed me to work side by side with wonderful people. In my off time, I am a wife of twenty-six years, a mother to three grown children, and a grandmother to a six-year-old and a three day old grandson. I have a quest for candles, and I love to spend time at the coast. My idea of a great evening is a quiet night at home with my husband. I'm very blessed to be working with such a great group of people. Stacy Spence’s philosophy regarding health is to take small steps forward, which create huge momentum towards healing. She approaches treatment plans with realistic goals that patients can follow while feeling successful and inspired as opposed to overwhelmed. She is passionate about what she does and has dedicated her life to helping people improve their health and to live a vibrant life. When it comes to Stacy’s treatments, her style is very unique with a gentle approach. She uses very thin needles and light stimulation in order to make it comfortable for patients. She infuses a blend of Japanese Acupuncture, aromatherapy, Reiki, and Microlight Therapy into her sessions, which adds a deepening experience for patients. Patients walk out feeling like they had a spa-like experience while feeling very relaxed. Stacy specializes in Therapeutic Lifestyle Medicine to help assist in pain management, weight loss program, detoxification, fatigue, and stress reduction. One of her passions is working on deeper psycho-emotional issues and teaches self-practices like Emotional Freedom Tapping. Stacy provides lifestyle coaching, nutritional and herbal support, and health education to ensure that patients reach their health goals. To join the team at Gentle Care Chiropractic, therapists must express a strong desire to work primarily with people wanting to recover their health after a recent injury or improve a chronic condition. Though anyone may see an LMT without having seen one of the doctors, many choose to benefit from a collaborative approach between chiropractic and massage. Josephine learned from an early age the benefits of massage. After suffering from major back injuries she was thrown into a world of doctors, pills and rehabilitation. It was then she found chiropractic and massage care to be “the glue that fixed the broken pieces.” She enrolled at East West College of the Healing Arts in 2008 to pursue her dream of helping others heal from pain and daily life stresses. Josephine’s massage is highly intuitive and draws from modalities such as Swedish, Deep Tissue, Thai, myofascial release and neuromuscular therapy. Depending on the client’s individual tastes and needs, she gives a challenging yet deeply comforting massage that strives to soothe the body, quiet the mind, awaken the spirit and educate the soul. We are our own best teachers, after all, and Josephine believes that as a massage therapist, she is only the facilitator of your wellness. Graduate of Pioneer Pacific College for Massage Therapy and licensed in 2011. Started a Practice as an independent contractor working for a Chiropractor. I also, provide therapy work for clients with Multiple sclerosis, Parkinson’s, and injury recovery. Techniques used include; deep tissue, Trigger point therapy and therapeutic stretching to improve range of motion. Recently Certified as a Small Animal Massage Practitioner (SAMP). Dogs can develop many joint and muscle issues, similar to human and therapy provides the same benefit. My first experience with the benefit of chiropractic care was 25 years ago. I started having pain in my neck, shoulder and middle back, which resulted in headaches and chest pain. After 3 years of treatment by medical providers and Physical therapists I went to see a Chiropractor and within a month the pain was gone, and in 6 months the muscles spasms were gone. I have been an advocate ever since and continue to visit my chiropractor every 6 to 8 weeks for adjustment, which, for me, is essential for maintaining a healthy back. I am an advocate of maintaining muscle health through regular exercise, stretching and muscle therapy. Using massage to manipulate tight, knotted and scarred muscles improves circulation to promote healing and tissue regeneration. Sarah Lahti Haury, LMT, BCTMB, has provided Integrative Massage Therapy & Health Education for 18+ years and is Nationally Board Certified in Massage Therapy & Bodywork. .She also has a background in psychiatric nursing. Sarah's holistic approach to healing includes many massage modalities, Reiki and Energy Work, and deeply honed intuitive skill. She specializes in the areas of chronic pain and illness, injury and trauma, and in burn scar massage. Sarah has served as a volunteer several years in various capacities and is passionate about promoting massage and educating the public. She is a wife and a mother of two children and enjoys fire dancing and flow arts.